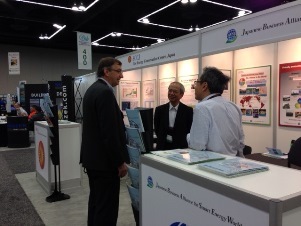 We participated in the Geothermal Energy Expo 2014(GEA) held in Portland, USA., organized Geothermal Energy Association and visited from all over the world who are interested in the technologies of geothermal power generation.At the same time the general meeting of Geothermal Resource Council was held. 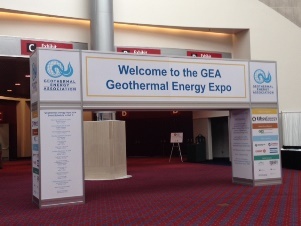 Venue: Oregon Convention Center, Portland. 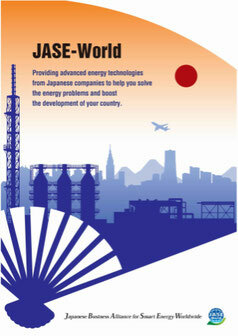 At the booth we introduced the Geothermal Generation Power Working Group(WG) Members’ Technologies by the panels and the head of WG of Fuji Electric Co.,Ltd attended. Not only from USA, but also from Europe, and Kenya of Africa visited to the Expo, showed a high interest in the Geothermal Power Generation.